I played with Penny Black dies today. I have a card to share with you using them. 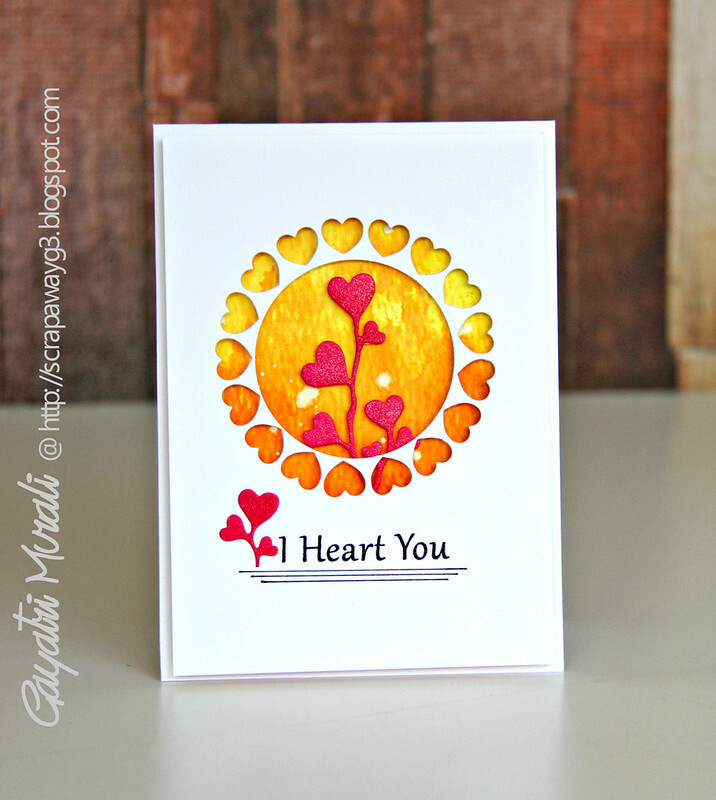 I have used the larger die in the Hearts in Circle die set from Penny Black to diecut on the white cardstock panel. Then I used a circle die to cut out a circle on the inside. I layered this panel on top of a watercolour paper colour washed with yellow and orange colours and spattered with white Mr. Huey. The Ardor die is sponged with Worn Lipstick and Picked Raspberry distress ink and brushed with pink Wink of Stella shimmer pen. I popped this Ardor die in the centre using foam adhesives. The sentiment is from I Heart You stamp set also from Penny Black. Here are the dies and stamp set from Penny Black I have used to make my card. This is stunning, Gayatri! Love those dies and your colors! Pooh! Love the colors & design! You rock, Gayatri. What pretty warm sunset colors!! This is lovely Gayatri! This is gorgeous! I absolutely love the warm color tones! 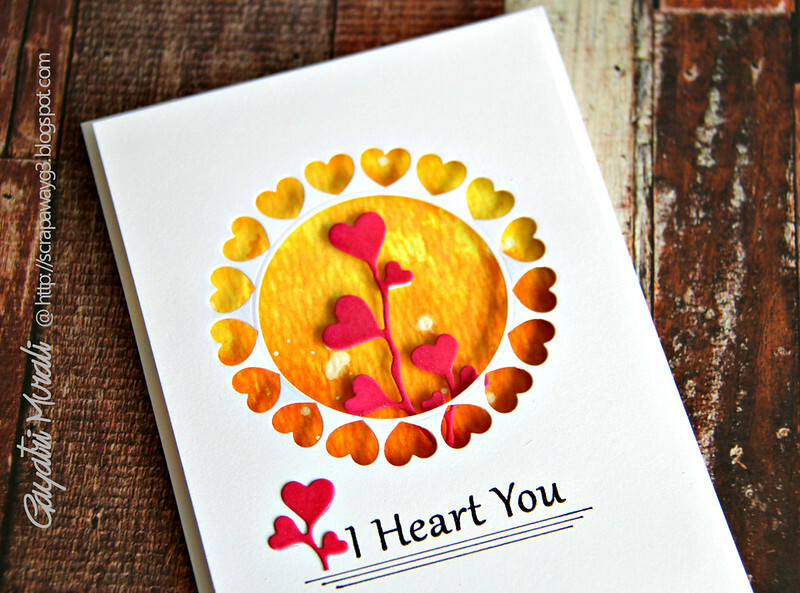 Thanks so much for playing along with us over on the Simon Says Stamp Wednesday Challenge blog for the Have A Heart Challenge!